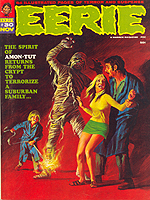 Includes contributions from Gray Morrow, Vic Prezio and Angelo Torres. 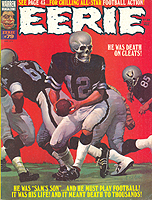 Includes contributions from Pat Boyette, Jerry Grandenetti and Tom Sutton. 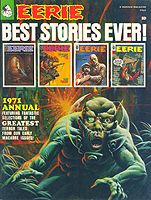 Includes contributions from Richard Corben, Gardner Fox and Don Glut. 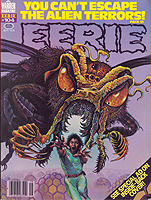 Includes contributions from Auraleon, Esteban Maroto and Suso. 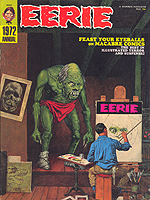 Includes contributions from Richard Corben, Esteban Maroto and Berni Wrightson. 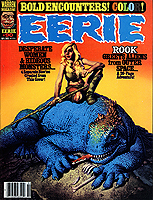 Includes contributions from Richard Corben, Ken Kelly and Jim Starlin. 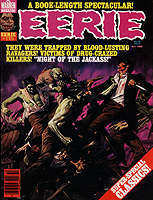 Includes contributions from Richard Corben, Gonzalo Mayo and Alex Nino. Includes contributions from Alfredo Alcala, Paul Gulacy, Pablo Marcus and Jose Ortiz. Includes contributions from Jim Laurier, Budd Lewis and Jose Ortiz. Includes contributions from Eugene Colan, Johnny Craig and Angelo Torres. 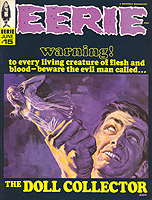 Includes contributions from Neal Adams, Steve Ditko, Tom Sutton and Alex Toth.